Who doesn't love logic puzzles? 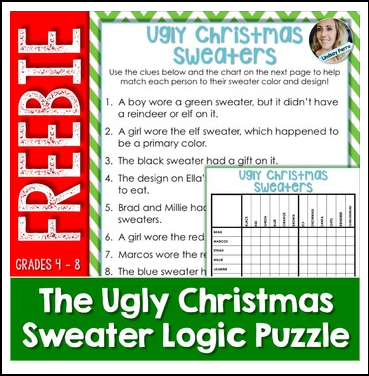 This fun activity will keep your students thinking as they try to figure out which ugly Christmas sweater was worn by each person! 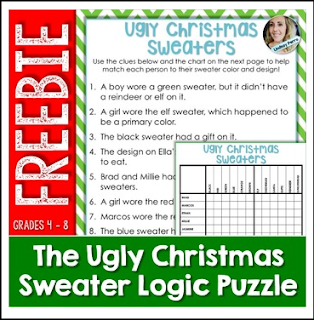 If your students LOVE logic puzzles, grab one of my two bundles! For more holiday math activities, check out my Holiday Math Activities for Middle School Resource!